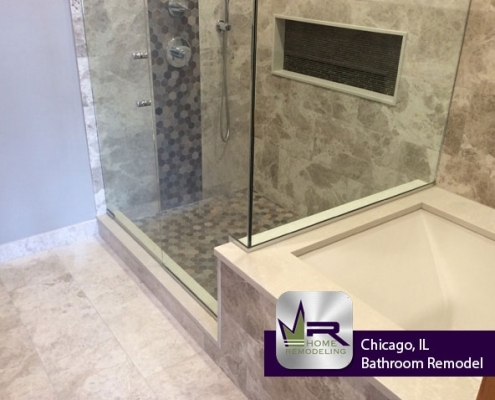 The owners of this Lake View property were ready to make some major changes to their master bathroom. 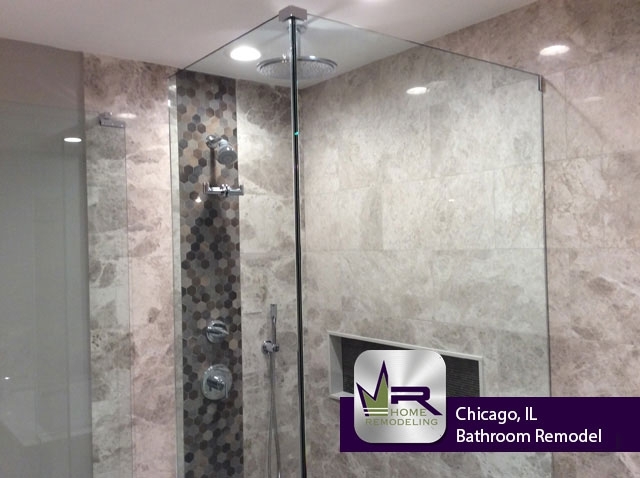 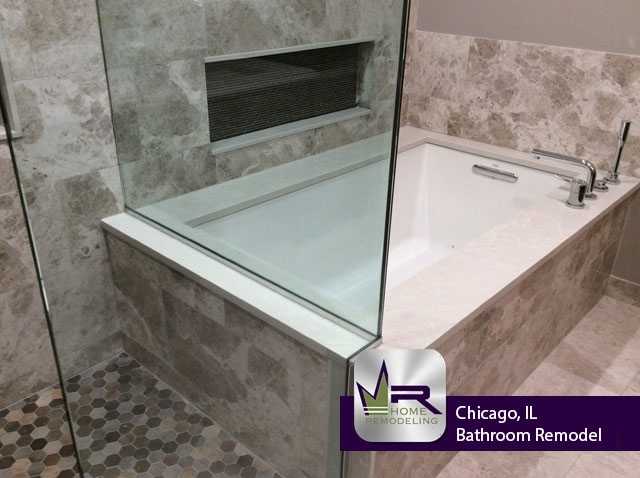 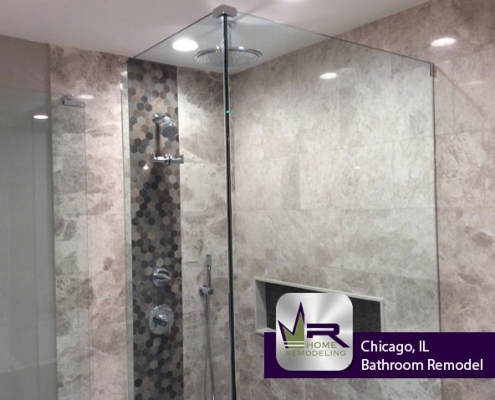 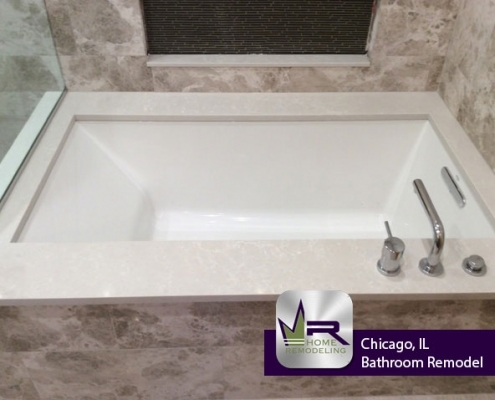 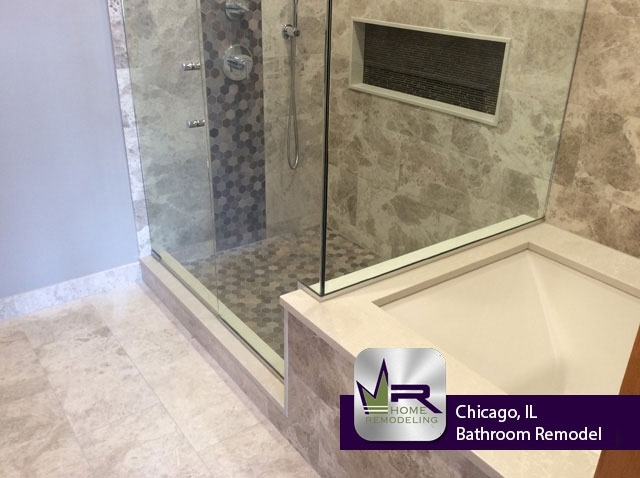 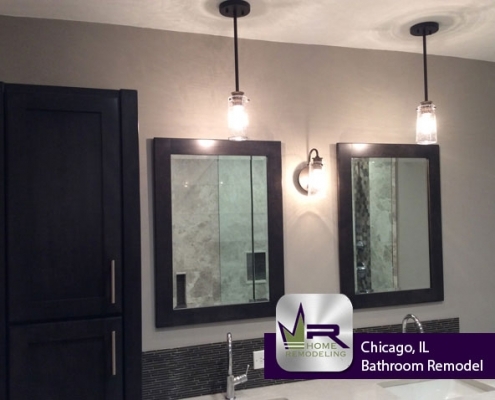 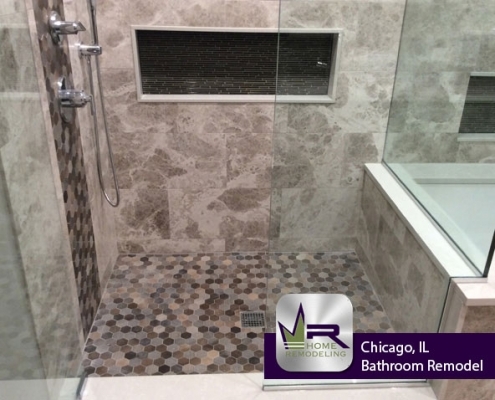 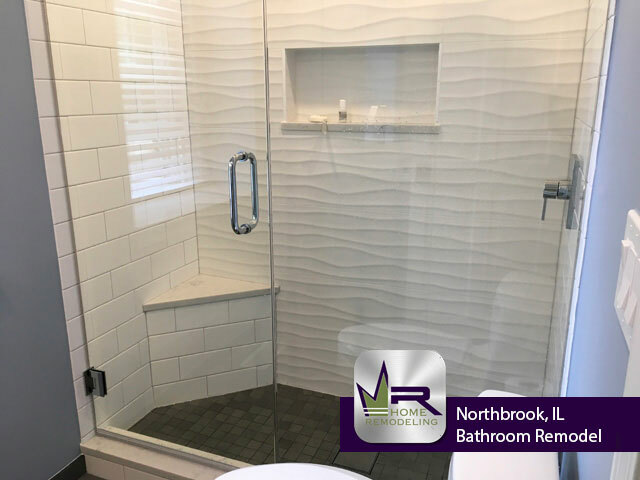 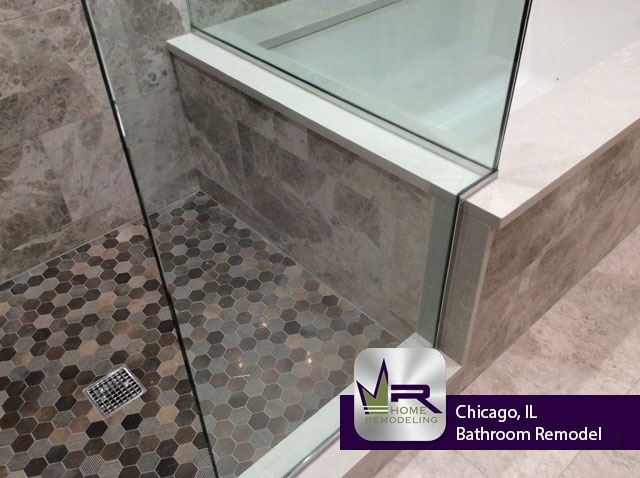 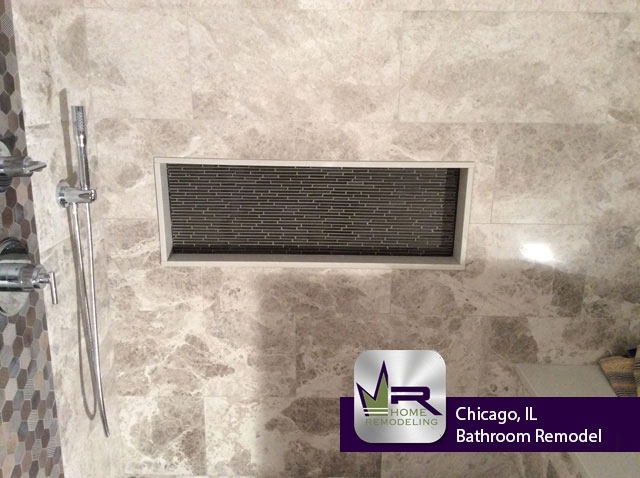 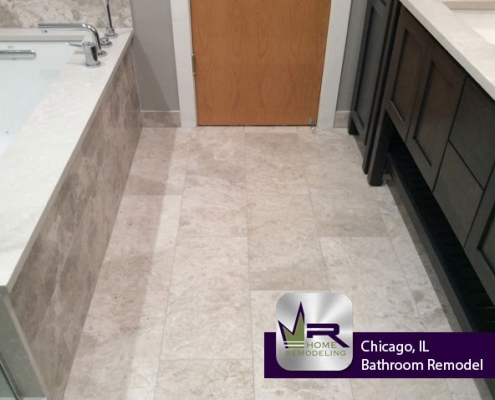 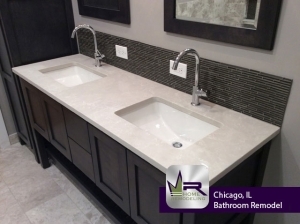 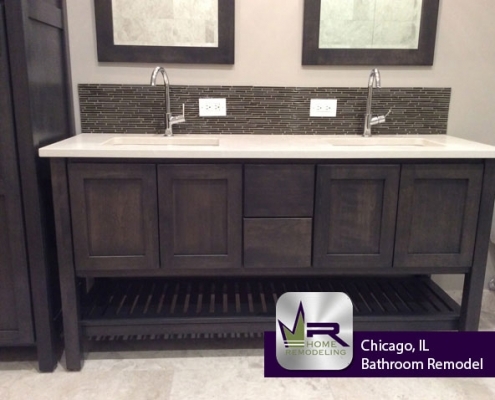 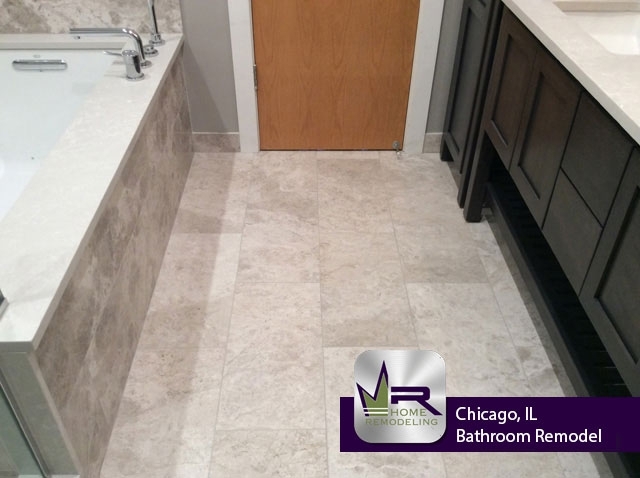 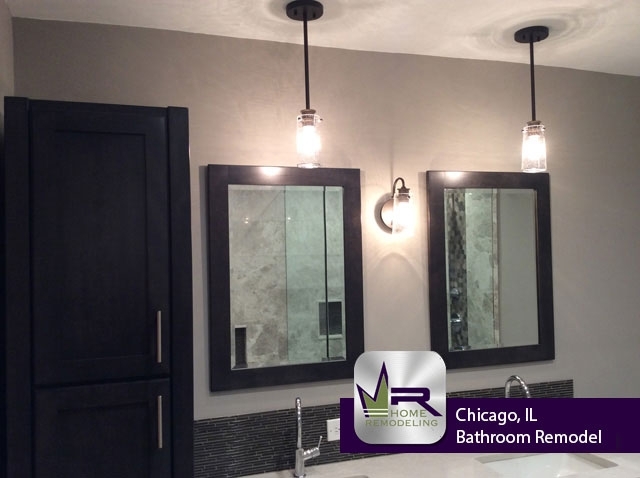 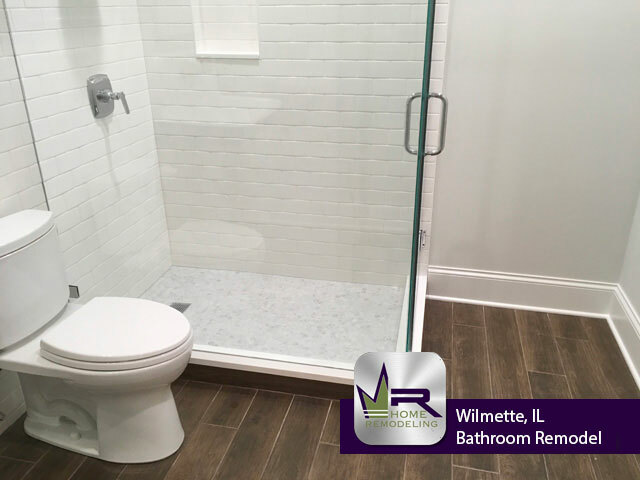 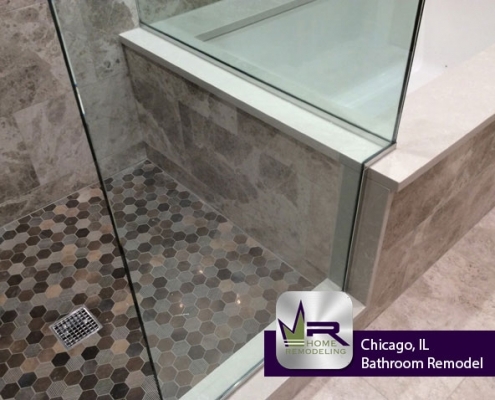 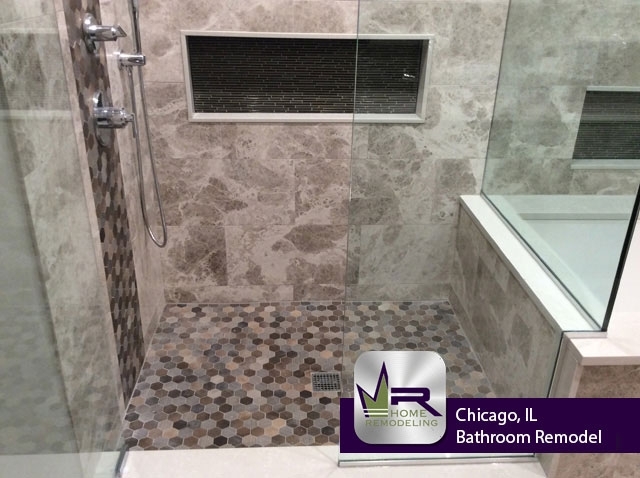 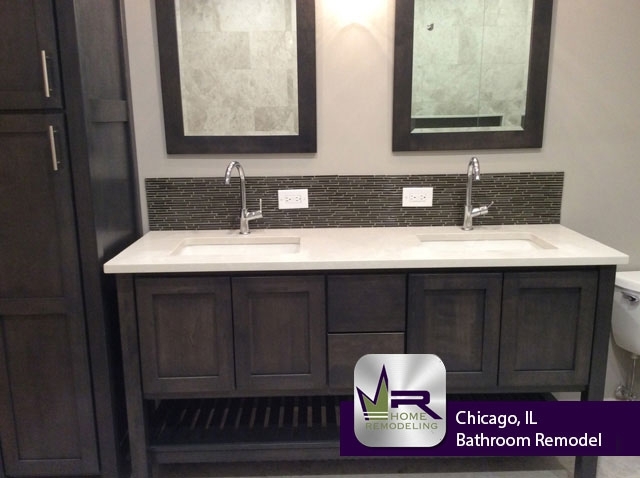 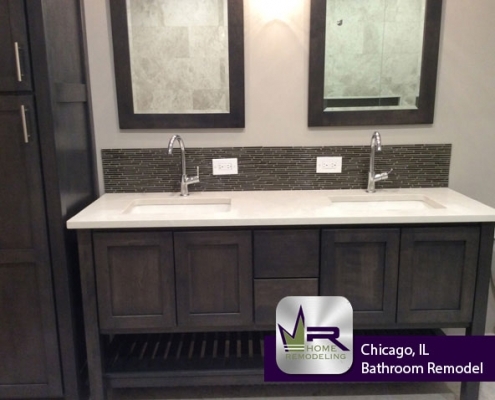 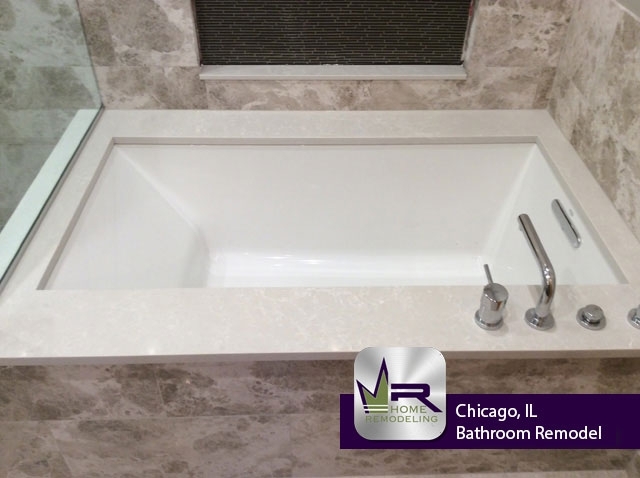 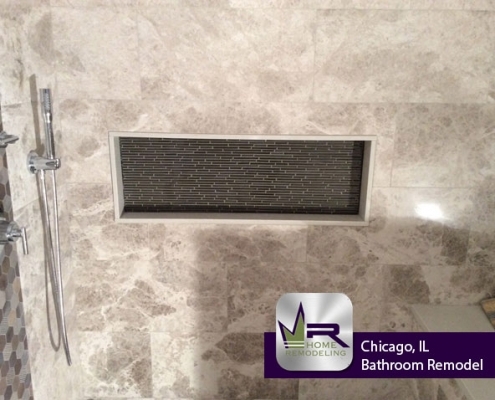 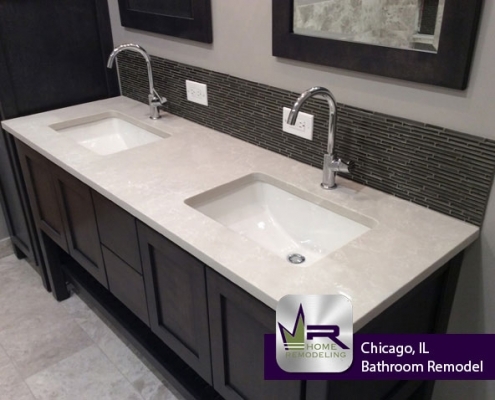 The existing bathroom was not as desirable as they wished it to be, so they called Regency Home Remodeling to create the master bathroom of their dreams. 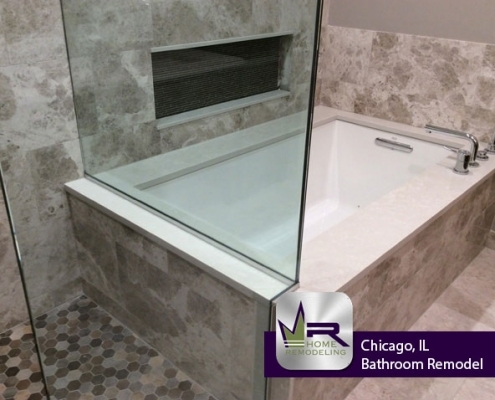 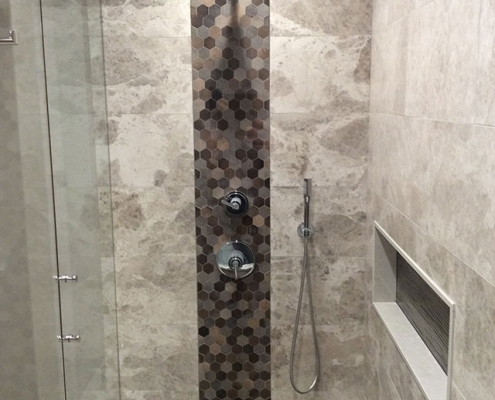 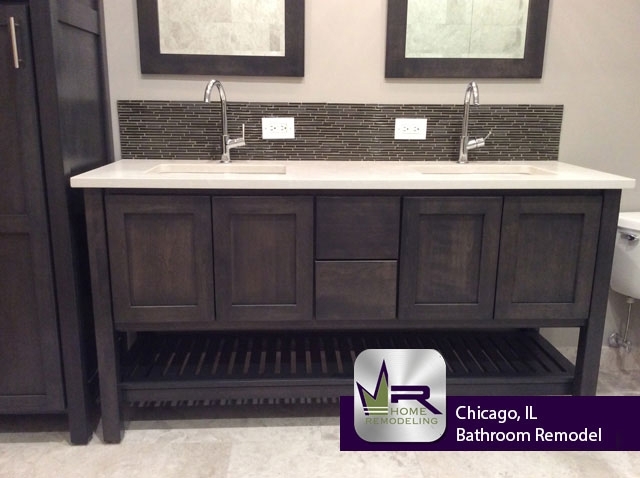 Regency did a phenomenal job creating a modern yet luxurious bathroom space for this couple. 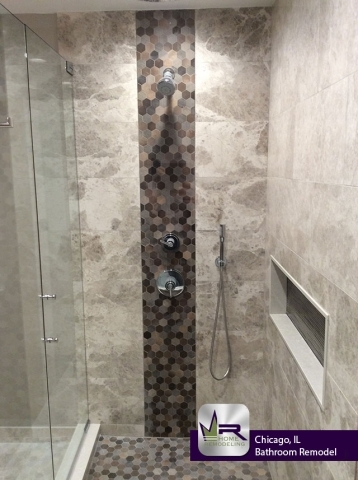 Not only is it beautiful, but it is much more spacious and practical for everyday use. 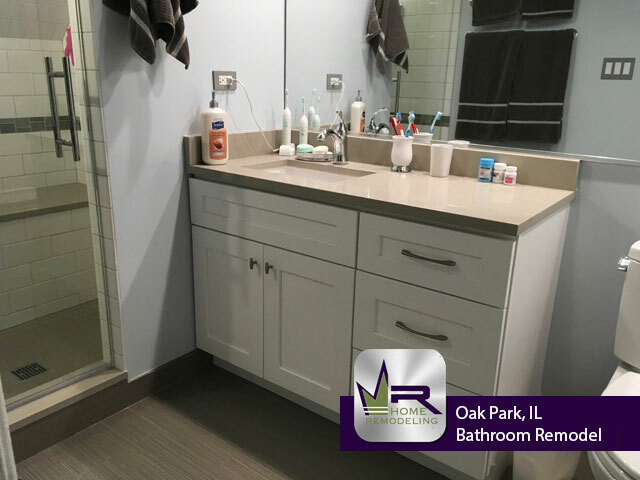 The family will find the newly renovated master bathroom to be much more enjoyable to use through the gorgeous new shower, stand alone tub, and double sink vanity.